WHAT IS A DOUBLE AIRFLOW PILLOW | Well, it’s an air-infused memory foam pillow with multiple levels of ventilation to keep you cool and comfortable while you sleep. 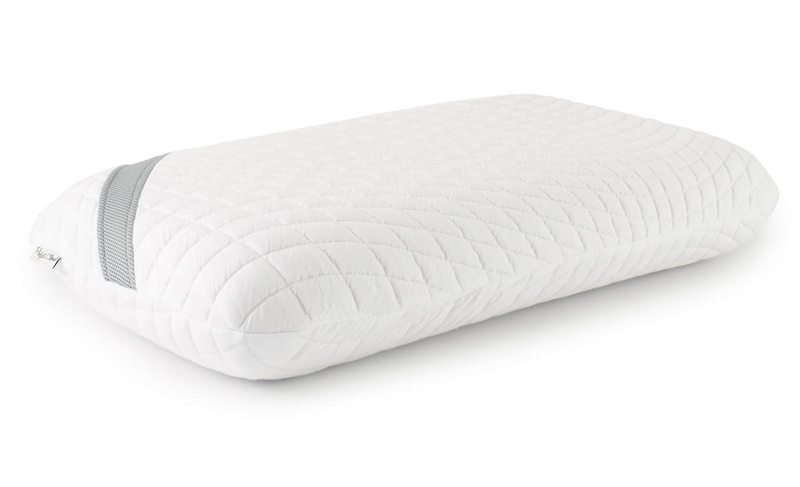 The core of this pillow has been scientifically designed with visco foam to continuously allow air to flow through for temperature-controlled sleep. Additionally, the ventilated mesh trim provides additional air flow so your head and neck feel light as air, and you get the relaxing sleep you need. 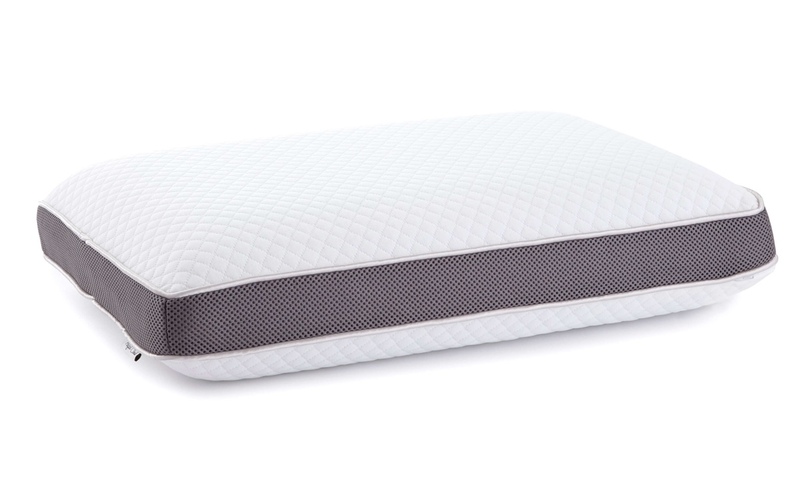 YOU CAN SLEEP BETTER | With Perfect’s Cloud’s Double Airflow pillow, you really can find the perfect sleep you’ve been longing for. Our thoroughly tested memory foam pillows help eliminate nervous tension caused from common head, neck, and shoulder pain, which frequently keep you awake and unrested. The double ventilation is an added luxury to help lull you into the needed sleep you are craving. What do you want? Sleep. When do you want it? Now! WEIGHTLESS SLEEP EXPERIENCE | Head feeling a little heavy at the end-of-the-day, and your current pillow simply isn’t helping alleviate this issue for restful sleep? We’ve got you covered! 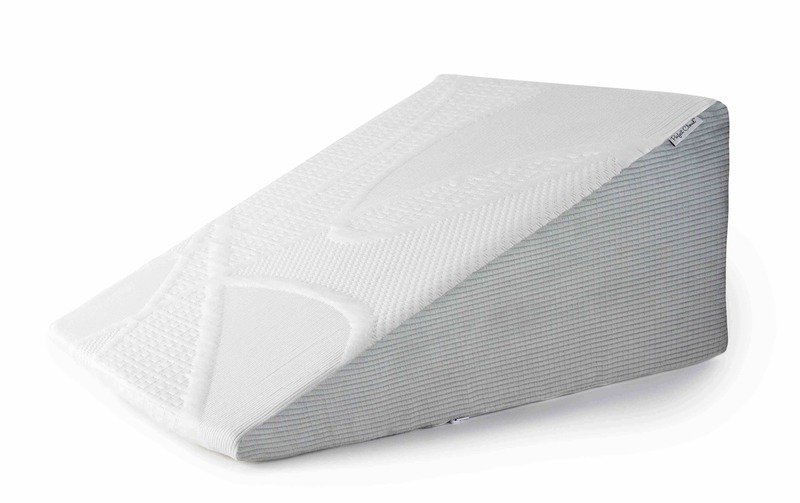 Replace your old pillow with this Double Airflow memory foam luxury, and this problem floats away like a cloud overnight. All Perfect Cloud pillows allow for comfortable all-night sleep that will help you wake up feeling rested, rejuvenated, and happy. 10-YEAR WARRANTY | That’s right. 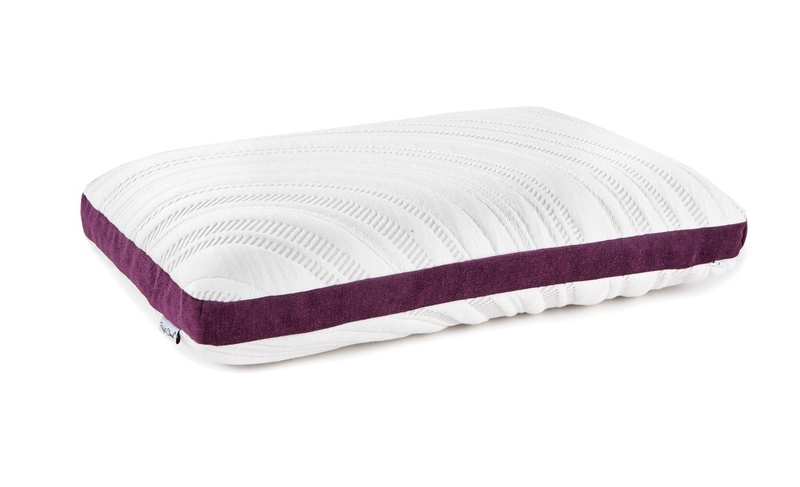 A 100% guarantee that you will fall in the sleepiest of love with our Double Airflow pillow. You can purchase from Perfect Cloud with total confidence knowing that your new pillow is CertiPUR-US-certified, designed in the USA, and backed by our incredible 10-year warranty. 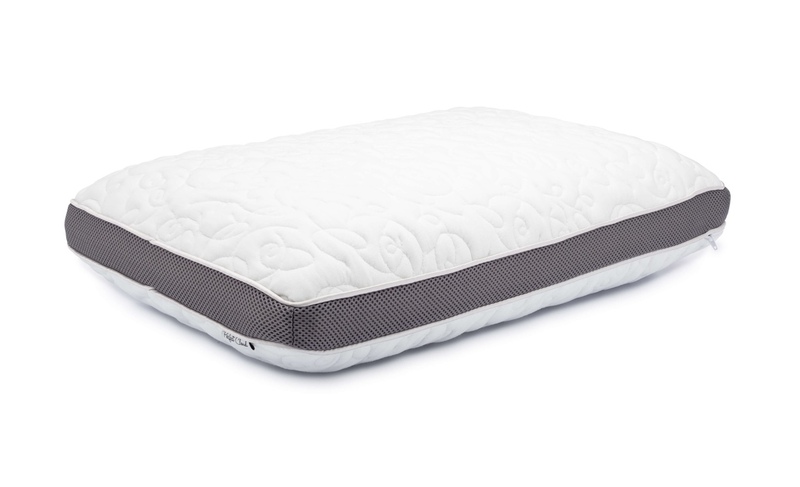 Perfect Cloud’s Double Airflow memory foam pillow is made with thoroughly tested memory foam that helps eliminate nervous tension caused from common head, neck, and shoulder pain, which frequently keep you awake and unrested. As an added bonus, and to help you fall asleep and stay asleep longer, it’s designed with airflow channels and a ventilated mesh trim to maintain a temperature neutral sleep experience. DESIGN | Features an air-infused memory foam with multiple levels of ventilation to keep you cool and comfortable while you sleep. 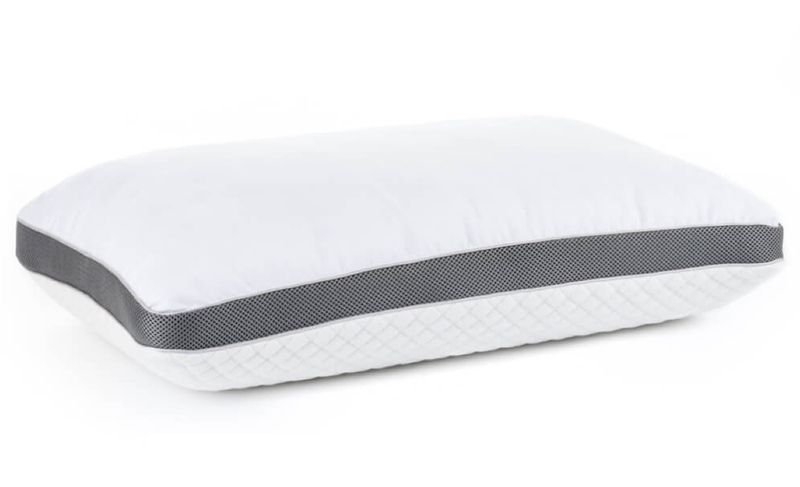 The core of this pillow has been scientifically designed with visco foam and air channels while the ventilated mesh trim allows air to flow freely so your head stays cooler. It did come with a strong odor but after some fabreeze and a wash the odor went away. Overall it works great. The pillow is well made and attractive, and advertised to sleep cool. That has not been true for me. It makes my head hot after sleeping on it. If I had known the cover couldn't be washed, but requires spot cleaning, I would not have bought it. It is a nice pillow...just not right for me. These are some of the most comfortable pillows I have ever slept on. The pillow itself gives excellent support while staying cool. I absolutely recommend! !